This is Karishma’s biography. It is very brief. She is just six months old. All that she owns are a few set of clothes and a crib. The crib was very expensive. Her parents had to shell out seven hundred rupees. But the baby’s cot keeps her safe. Else, she would have been sleeping on bricks or atop mounds of cement or some such construction material. 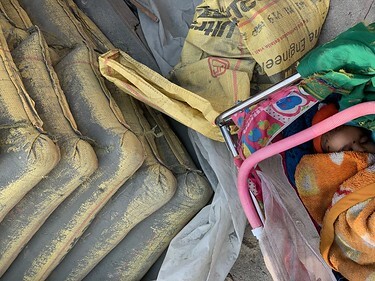 Karishma hasn’t seen her parents’ homeland, but she is well-travelled and has already spent these first few months of her life in quite a few construction sites spread across the National Capital Region. 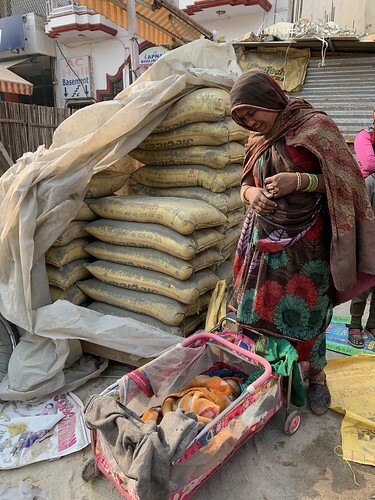 Her parents, like other fellow labourers, rustle out a makeshift dwelling in the compound they happen to be working for the time. Right now Karishma’s home is a dust-filled building site in Gurgaon’s Sector 14. 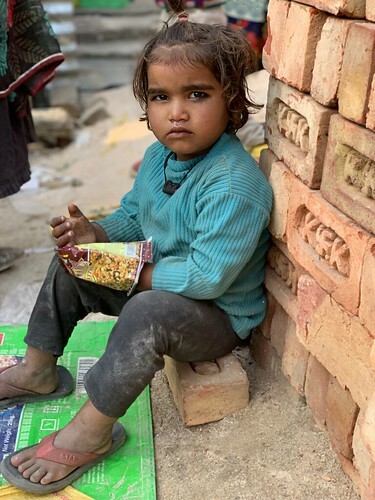 The girl has two siblings—brother Arjun, 5, and sister, Reshma, 3. The two rarely interact with her, and instead spend their time playing and squabbling with each other. 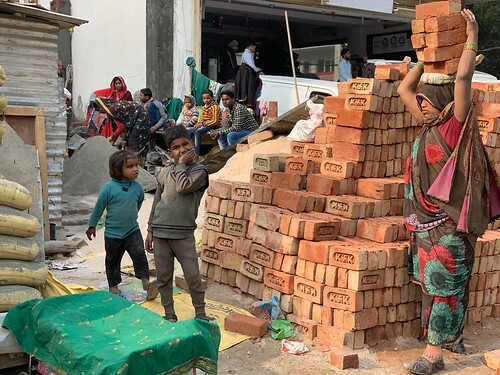 At this moment, Arjun is sitting upon a stack of cement bags and Reshma is snuggled in a secret shelter she has made for herself beside a pile of bricks. 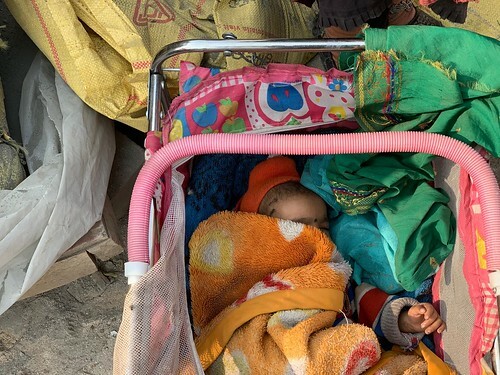 They don’t go to school and their parents have no such plans because “we keep moving from one place to another,” explains the mother. 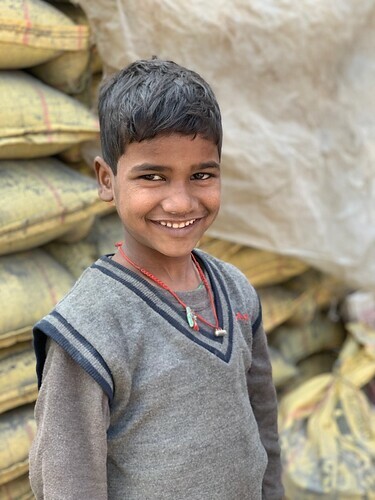 Karishma will grow up to be a labourer like her parents, her mother believes. Meanwhile, the subject of our biography is sleeping soundly in her crib. Buried under a couple of blankets, all that you can see of her is her forehead and her tiny palm. Karishma is totally oblivious to the realities of her world.